The Broncos’ general manager needs to make a move at quarterback, and he needs to do it soon. After five days of training camp it’s apparent neither Trevor Siemian nor Paxton Lynch can lead this team where it wants to go. Colin Kaepernick should be on the other end. The Broncos’ 2017 season can still end in a third Super Bowl trip in five years if Elway pulls the trigger on signing Kap. He’d be that big of an upgrade over their current options. It’s funny, one sports talk radio station in this town is doing its absolute best to divide Broncos fans, with a silly #TeamTrevor or #TeamPaxton vote every day after camp. Can one be #TeamNeither? Both Siemian and Lynch are nice guys. And both can be capable backups in the NFL for the next decade. But right now, neither looks like a starting quarterback. Especially on a team with a defense more than capable of earning another ring this year. Signing Kaepernick would immediately inject energy in an offense that desperately needs it. There’s talent on that side of the ball – no doubt – but right now it feels like a leaderless group that could use a spark in the worst way. Bringing in one of the most electric QBs in football would do that. Of course, you have to start with the protest. It’s all about the protest. 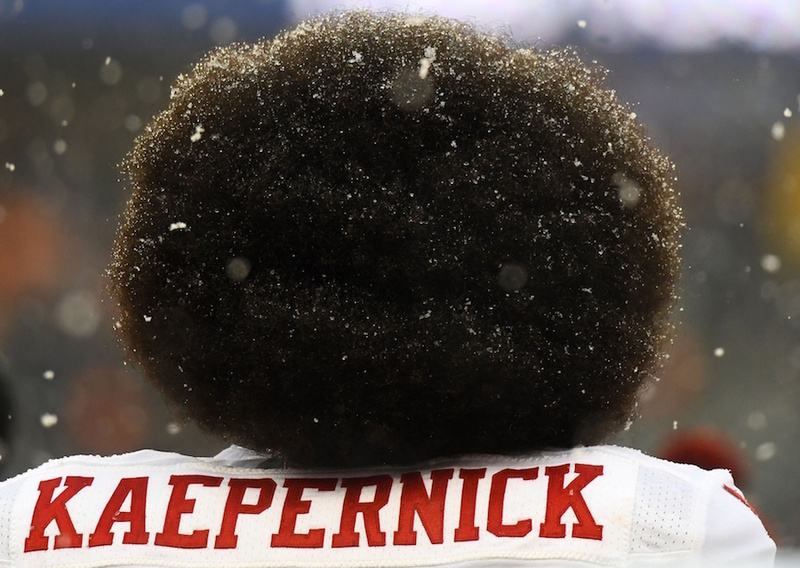 It’s unequivocally, 100 percent, the reason Kaepernick doesn’t have a job right now. Hell, not only would he be on a roster if he hadn’t started the kneeling-for-the-National-Anthem trend last year, he’d be a starter. The QB situations in Chicago, Houston, Jacksonville, New York (Jets), Cleveland, San Francisco and yes, Denver, are not ideal. You can bet Kap would be the clear No. 1 QB on one of those teams if he hadn’t ticked off a sizable portion of NFL fans last year. Owners are worried Kaepernick could be bad for business, and their general managers are worried signing him could be bad for their jobs. And that’s where Elway has a massive leg up. The Duke of Denver just signed a huge contract extension and isn’t going anywhere soon. Signing Kap is a no-risk move for Elway. Sure, a portion of the fans might be angry, but they’d get over it once Kaepernick started winning football games. And even if he didn’t, Elway would never feel the repercussions. He’s earned the right to do what he feels is best for the Broncos. Right now, that would be giving Kap a job. For all the talk of how ‘bad’ he was last year (a bizarre justification from people who don’t like his politics), Kap threw 16 touchdowns and just four picks. Newsflash: The Niners were bad – Kap wasn’t. Fewer than five years ago, the 49ers weren’t bad. They were actually very good. And they were mere yards away from winning the Super Bowl against Baltimore with Kap leading the way. On that evening in New Orleans (against the team that knocked PFM and the Broncos out of the playoffs), Kaepernick threw for more than 300 yards, ran for 62 and scored a couple of touchdowns. San Francisco put 31 points on the board. In his career, the man has thrown for 72 touchdowns and just 30 interceptions. He’s run for another 13 scores, while averaging 6.1 yards per carry. Oh, and by the way, he’s only 29 years old. Right now, the Broncos look like a seven to eight win team. Insert Kaepernick in the fold and that number immediately jumps to 11 to 12. Elway nearly went down the Kaepernick road just 15 months ago, so it’s clear he’s intrigued by the QB as a player. Colin Kaepernick is the answer to the Denver Broncos’ current quarterback quandary.